Investigators at the Medical University of South Carolina (MUSC) report pre-clinical research showing that a genetic variant encoded in neutrophil cystolic factor 1 (NCF1) is associated with increased risk for autoimmune diseases, including systemic lupus erythematosus (SLE), rheumatoid arthritis, and Sjögren's syndrome, in the January 2017 issue of Nature Genetics. Data indicate that increased NCF1 protects against SLE while decreased NCF1 raises SLE risk and highlight the pathogenic role of reduced reactive oxygen species in autoimmune disease development. Single-nucleotide polymorphisms (SNPs - pronounced 'snips') are the most common type of human genetic variation; each one represents a small difference in a nucleotide - the building blocks of our DNA. The Immunochip for fine-mapping is an important tool for conducting genome-wide association studies of the genetic components of disease. Researchers use the Immunochip to investigate DNA samples from people with a particular disease for linkage disequilibrium (LD) signals that illuminate associations between specific SNPs and the disease. Autoimmune diseases such as SLE are known to have a strong genetic component and, to date, dozens of SNPs associated with SLE have been identified and included on the Immunochip. The Achilles heel is, of course, that the Immunochip cannot identify associations with SNPs that it does not include. When MUSC researchers genotyped DNA samples from Chinese, European-American, and African-American SLE patients, they found a strong signal in the Chinese sample at the rs73366469 locus in the GTF2IRD1-GTF2I intergenic region at 7q11.23. This was puzzling because that locus was not consistent with SLE loci identified by other genome-wide association studies. Furthermore, the very strong signal in the Chinese sample appeared as a modest signal in the European-American sample and did not appear at all in the African-American sample. 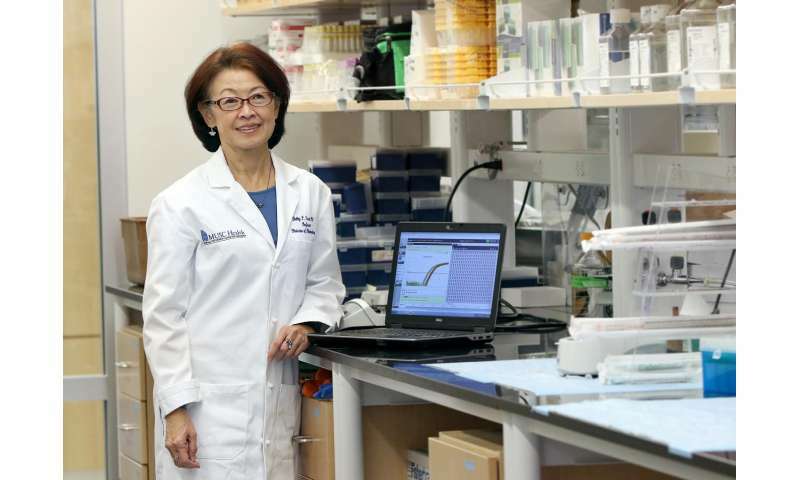 "A true risk gene should be the same in all populations," explained Betty Pei-tie Tsao, Ph.D., Richard M. Silver Endowed Chair for Inflammation Research at MUSC and senior author on the article. "And for such a strong signal, we wondered, 'why hasn't anyone else seen it?' We wanted to find out if what we were seeing was true and explain it." 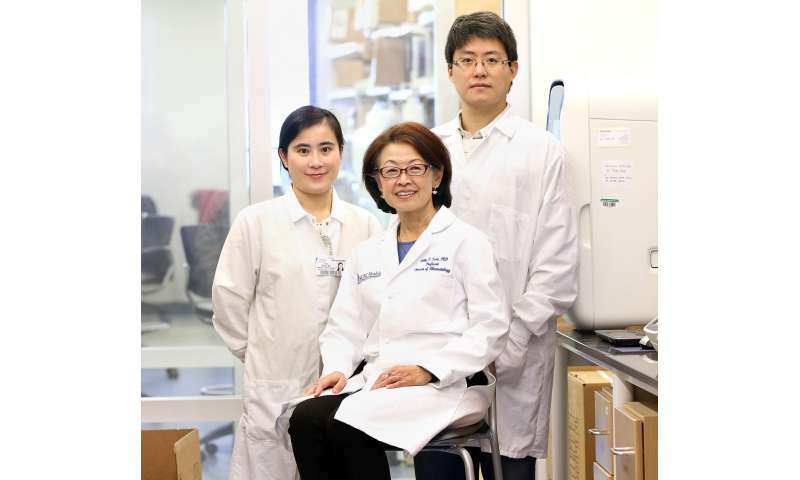 The team confirmed their finding using a different genotyping platform in an independent Asian sample provided by Nan Shen, M.D., Ph.D., professor of medicine and director of the Shanghai Institute of Rheumatology at Shanghai Jiao Tong University's School of Medicine. But, because rs73366469 did not show LD with any SNPs in the Immunochip, the researchers hypothesized that the SNP containing the true underlying risk factor was not included in it. "We came into the study from our Asian samples and then started looking for this signal in other populations," said Tsao. "Every ethnic group has a different ancestral background and different LD patterns. We used the LD signal strength as a guide to find our way to the true risk gene - the particular variant that actually caused the increased risk for lupus." Because the SNP they were looking for was most likely not included in the Immunochip, the team turned to the 1000 Genomes Project dataset, where they found two SNPs that were not only not on the Immunochip, but also produced stronger LD signals with rs73366469 in Asian patients than European or African patients. One of these two, rs117026326 located on intron 9 of GTF2I, showed a stronger association with SLE than either the original or the other locus from the 1000 Genomes Project. As the researchers focused in on rs117026326, they saw that the NCF1 gene was nearby. This was important because NCF1, which encodes a subunit of NOX2, is thought to be related to SLE due to its role in activating the phagocytic complex NOX2. Preclinical studies have shown that non-functional NOX2 exacerbates lupus in mice. Furthermore, NCF2, which encodes another subunit of NOX2, is associated with SLE risk in European Americans. The strong association of rs117026326 with SLE and the functional implications of nearby NCF1 took the team to their next hypothesis: that the rs117026326 SNP might tag causal variants of NCF1 that were not present in the 1000 Genomes Project database. But unraveling this mystery was not going to be easy. "This is a very complex genomic region," explained Tsao. "The NCF1 gene has two nearly identical twins - NCF1B and NCF1C - that are 98% the same. But they are non-functional pseudo-genes. This makes working in this region of the human genome very difficult. That's why the next-generation sequencing method that the 1000 Genomes Project has been doing doesn't pertain to this region." The researchers believed that mapping techniques commonly used by the larger projects, while efficient, limited their ability to find unique sequences among all the copies and duplications in this region. So, they decided to set up their own, novel PCR assay. "You can't easily sequence this region using the next-generation techniques," said Tsao. "So, we had to do it the old-fashioned way, which was very time consuming and labor intensive. To genotype the region correctly, we used PCR to selectively amplify the NCF1 copies and conduct copy number variation tests. Then we only used samples with no copy number variation to examine the NCF1 variant. This method ensured that what we identified as an NCF1 variant was truly a variant." Using this strategy, the team identified 67 SNPs, four of which had a strong association with rs117026326. After conducting a long series of multiple tests in samples from various ethnic populations, they gradually eliminated three of the four SNPs and determined that the one called p.Arg90His was the likely genetic variant causing SLE susceptibility across all populations. In addition, p.Arg90His was associated with increased risk for other autoimmune diseases, including rheumatoid arthritis and Sjögren's syndrome. The team also found that having only one copy of NCF1 was associated with a higher SLE risk, but having three or more NCF1 copies was associated with reduced SLE risk. Finally, while the underlying mechanism is unclear, the team found that having reduced NOX2-derived reactive oxygen species also raised the risk for these autoimmune diseases. Tsao notes that perseverance was a critical component of this work. This work was started years ago when the team was at the University of California Los Angeles and was completed after moving to MUSC. "We just stuck with it as a labor of love. Our lead author, Jian Zhao, devoted several years of his life to this project," explained Tsao." At the time we started, we didn't know it was going to be so complex. We just wanted to explain what we were seeing. It turned out to be quite a chase and very interesting and rewarding to finally bring this project to this point." This work also points out an important unmet need in the field of genetic mapping. "We need a more efficient platform to screen complex genome regions for variants. For a lot of diseases we've identified some, but not all, of the variants. There may be more variants hiding in these complex regions," said Tsao. "You have to sort it out like a puzzle. Autoimmune diseases share certain risk factors but also have unique genetic variants that drive the molecular pathogenesis of the disease. Each time you find a variant, you get more puzzle pieces and you can start to understand more about that disease and other autoimmune diseases as well."